This is going to be my first MAIN cast since INV has a bye this week and it should be a good match. I will hopefully be joined by one co-caster. 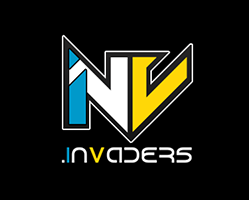 NextLevel currently sitting at 4 wins and 1 loss in 2nd place behind iNvaders. coNviction sitting in 3rd place with 3 wins and 2 losses. I belieive coN still has a chance for 2nd if they win by a big enough margin. Tune in at http://www.twitch.tv/rokistv I hope to see a good a turn out. Let's get AAPG on the map over at twitch! Last edited by rokis on Mon Mar 16, 2015 8:13 pm, edited 1 time in total. Yea, Ali won't be playing. The roster will be mur, aloe, noofy, and me or exile. mur is allowed to play? responded via PM. Back to topic.